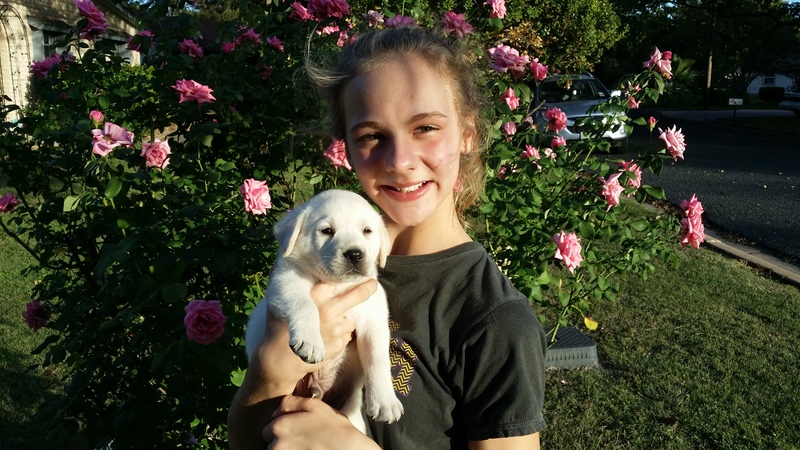 Brylee’s first white lab Cooper.
. Brylee is my oldest grandchild & she has helped with all my dogs for years she has become very good help. She has chosen a male puppy & has named him Cooper . I think she will have lots of fun with Cooper for many years. I think all children should be raised with a great dog & learn how to care for them. ← White labs training to be hunters.